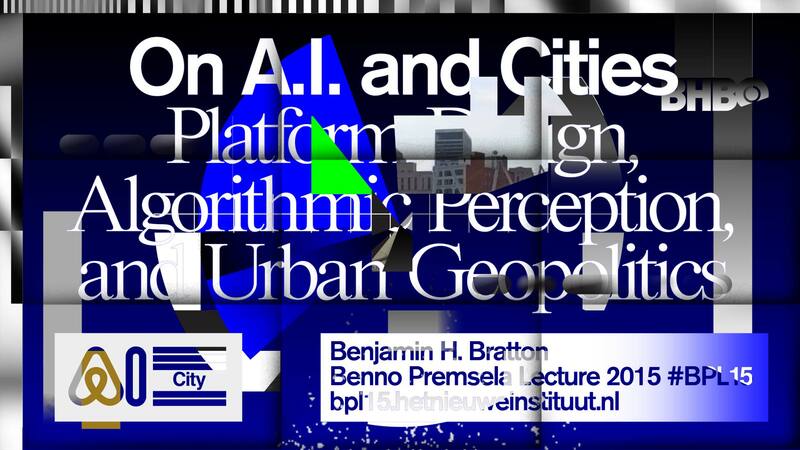 In cooperation with the Society of Arts, Het Nieuwe Instituut organised the Benno Premsela Lecture 2015, which was held on Sunday 1 November. This year's Benno Premsela Lecture was given by Benjamin Bratton. 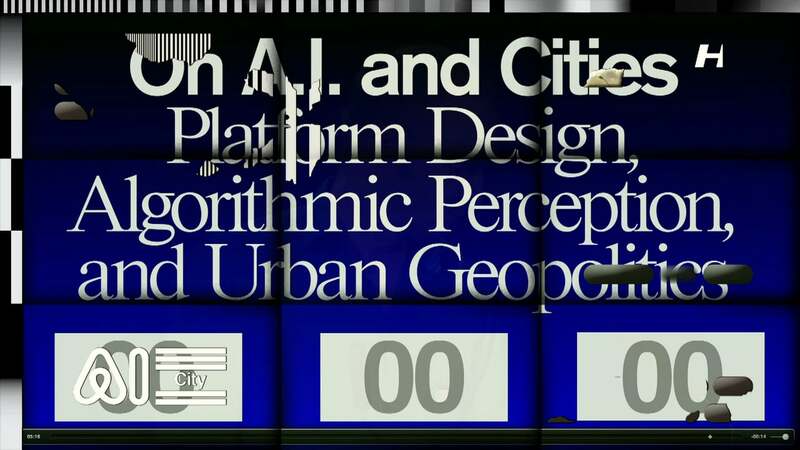 Benjamin Bratton is Associate Professor of Visual Arts and Director of The Center for Design and Geopolitics at the University of California, San Diego. He is also Professor of Digital Design at the European Graduate School in Saas-Fee, Switzerland. He is a sociologist, architecture and design theorist who is well known for combining philosophical and aesthetic research, organisation planning and strategy, and for his publications on the cultural consequences of digitalisation and globalisation. Following the lecture, Koert van Mensvoort and Carola Hein presented their reactions. Carola Hein is Professor of the History of Architecture and Urban Planning in the Faculty of Architecture and the Built Environment at Delft Technical University. She studied at the Institut Supérieur d’Architecture de l’État La Cambre in Brussels and the Hochschule für Bildende Künste in Hamburg, where she gained her doctorate. Her current research interests include the communication of architectural and urban-planning ideas via international networks. Artist and scientist Koert van Mensvoort is preoccupied with new technologies and in particular the concept Next Nature: technology has become so ubiquitous and complex that we experience it as nature. Van Mensvoort studied computer sciences at the Eindhoven University of Technology and design at the Sandberg Instituut in Amsterdam. Short summery of Bratton's lecture. A selection of links to articles on related subjects, including the Internet of Things, Anthropocene, Smart Cities, and more. In January 2016 Bratton publishes his new book The Stack at MIT Press. Read the interview that Benjamin Bratton gave to Klaas Kuitenbrouwer (Het Nieuwe Instituut) in early 2015 in the context of the exhibition Garden of Machines. The Society of Arts currently comprises 35 members from a wide range of arts disciplines. The Society's aim is to represent the voice of the arts in Dutch society (including politics) and promote interaction between the arts, between arts and society and between science and the arts. The Society of Arts is part of the Royal Netherlands Academy of Arts and Sciences. This project is part of the programme track Landscape and Interior and the folder Benno Premsela Lecture.